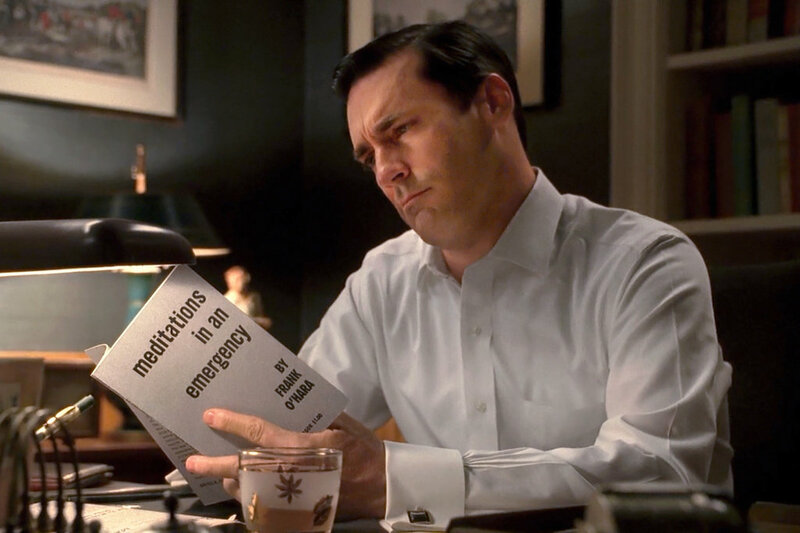 Apparently one such “product” woven into the show — alongside Canadian Club Whisky and Lucky Strike cigarettes — is the poet Frank O’Hara, whose work had a memorable cameo role in Mad Men‘s second season. (I wrote about the boom, or boomlet perhaps, in O’Hara-related television here). THEN Relatively obscure poet of the New York School. This entry was posted in Frank O'Hara, Mad Men, Television. Bookmark the permalink.